Alleged Boston Marathon bomber Dzhokhar Tsarnaev pleaded not guilty Wednesday afternoon to 30 charges relating to his supposed involvement in April’s terrorist attack. Tsarnaev, 19, entered his plea during his first public appearance in court Wednesday. More than half of the charges lobbed against him potentially imply the death penalty. Tsarnaev’s first public appearance in a courtroom comes two weeks after a Massachusetts federal grand jury returned a 30-count indictment against him. The charges include using weapons of massive destruction, killing three Boston Marathon spectators, and also shooting a police officer to death. The first public court hearing are for the judge to explain Tsarnaev what penalties exactly he may face. Seventeen of the 30 charges brought against him are capital offences. Sparing Tsarnaev this worst scenario is believed to be the biggest challenge faced by his attorney, public defender Miriam Conrad. The death penalty was banned in Massachusetts in 1984, but only for state cases, while Tsarnaev is being charged under federal law, which means he could still face capital punishment if found guilty. The West Fertiliser explosion happened on the anniversary of Waco and Oklahoma and this points to a further game of damning the patriot movement. A Boston-area teenager remains in custody on $1 million bond nearly one month after being arrested over what he said on the Internet. 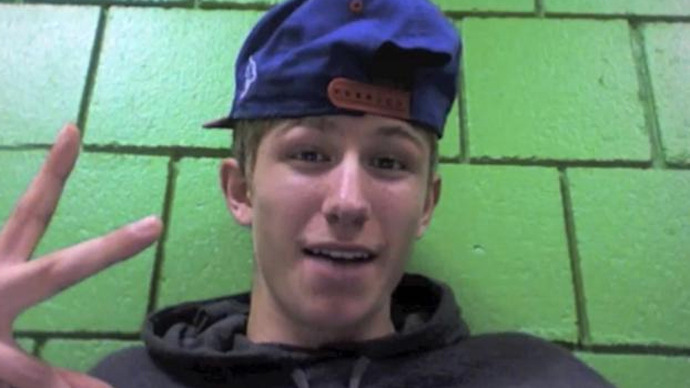 Eighteen-year-old Cameron B. D’Ambrosio of Methuen, Massachusetts was arrested on May 1 after police were alerted to “disturbing verbiage” on his personal Facebook page discovered by a fellow student at Methuen High School. D’Ambrosio allegedly posted original rap lyrics that prompted authorities to charge him with terrorism, and now he faces a potential 20 years in prison. “He posted a threat in the form of rap where he mentioned the White House, the Boston Marathon bombing and said, ‘everybody you will see what I am going to do, kill people,” Methuen Police Chief Joe Solomon told the Valley Patriot earlier this month. Three weeks after being surprised by police at his Methuen home, D’Ambrosio remains locked up. “A kid is in prison. Away from his family. All for something he posted on Facebook” reads a support page for the high school student established this week by the Center for Rights and Fight for the Future. In 48 hours, the website received more than 500,000 views, and on Thursday the administrators said 1.2 million people had visited the page by the time D’Ambrosio went before a judge that morning for a scheduled bail hearing. The justice differed deciding at this time if D’Ambrosio should be released from custody. Meanwhile, though, D’Ambrosio remains locked up if and until a judge decides he isn’t a hazard to the community. At the time of his arrest, school officials and law enforcement alike applauded the speedy response and celebrate D’Ambrosio’s arrest as a victory against terrorism only a few days — and a few miles — from where two brothers allegedly detonated explosives at the Boston Marathon, killing three in the biggest act of terror in years on American soil. But nearly one month after being detained, authorities have not announced any proof that D’Ambrosio intended to act out the lyrics he left on his Facebook page. “A search of Cam’s house found no explosives, weapons, or ANY evidence that he was planning anything other than becoming the next Eminem,” his supporters write. Among the Facebook content that alerted authorities was a song that was considered a warning of things to come. “So when u see me (expletive) go insane and make the news, the paper, and the (expletive) federal house of horror known as the white house, Don’t (expletive) cry or be worried because all YOU people (expletive) caused this (expletive),” reads a redacted version of one post made available to the Boston Herald. “Suddenly something that sounds like a threat of violence is clearly just bragging about how good Cammy Dee is going to be in the rap game. Last we checked, teenage dreams of grandeur were not a crime,” the website claims. ORLANDO — In what continues to be the most bizarre series of ongoing events, Mixed Martial Arts (MMA) fighter, Ibragim Todashev, was shot and killed in his apartment by the FBI just before midnight last night. Authorities believed the man to be a friend of Tamerlan Tsarnaev, one of the alleged Boston bombing suspects. Tamerlan has also been said to be alive by some, including a family member after a video surfaced of Tamerlan being stuffed into a police car naked by Boston Police. We also must question the late night visit paid to, Todashev, the MMA fighter, by the FBI. It was like an interrogation. According to the field agents, Todashev made a fast move that got him shot and killed.W hy the fast move during an interview? Why were the agents on edge? Some speculate that the FBI was sent there to kill Todashev as he knew crucial details regarding one of the alleged Boston bombing suspects, and was likely a threat to the establishments official story. Wired’s Danger Room reported, “A friend of Todashev’s who says he was also interviewed by the FBI, Khusn Taramiv, said Todashev was a friendly acquaintance of the elder Tsarnaev brother from Boston. Both are of Chechen origin, but did not meet in Chechnya, Taramiv told the local NBC affiliate WESH-TV. According to Taramiv, Todashev knew Tsarnaev from the tight-knit community of Chechens in Boston. Todashev spoke with Tsarnaev about a month before the bombings, possibly on Skype, after noticing him online; Tamerlan Tsarnaev’s name was in Todashev’s phone. Taramiv said that Todashev didn’t know anything about the bombings and wasn’t any sort of extremist. Todashev apparently got his green card recently and was planning a trip to Chechnya to see his parents. According to Taramiv, Todashev never owned a weapon and worried that the FBI was trying to set him up in connection to the bombings. All of this now raising questions by common folk. It seems as the brothers (bombing suspects) are possibly being set up patsies or are working directly with intelligence agencies to portray a Hollywood production to the American people, in plain sight. Dan Dicks, reporting for Press for Truth out of Canada, was able to score a phone interview with Tamerlan’s Aunt. During the interview, she positively identified the man being stuffed into the police car in the video is Tamerlan, signifying he is still alive despite what has been reported by authorities. To top it off on May 6, 2013, I reported that the bombing suspects family sought a 2nd autopsy as they did not belive the official story. An excerpt from the article reads, “Since the Boston bombing suspects were named the family has been openly suspicious about the official government story, even insisting that the whole ordeal is a set up. So far there have been conflicting reports about the fate of Tamerlan Tsarnaev, some say he is the naked man that was taken into police custody weeks ago while the official story states that he was killed while fighting with police. For nearly two weeks, Tamerlan Tsarnaev’s body lay unclaimed at the Boston medical examiner’s office. A funeral home now has the remains and a quest is underway to find him a resting place in Massachusetts. But first, he will undergo a second “independent” autopsy demanded by his relatives, a family spokeswoman said. And if that’s not enough. It was also reported by Infowars.com on April 29, 2013 that the original bombing suspect, Sunil Tripathi, was found dead in Providence River. Shepard Ambellas is the founder & director of Intellihub.com (a popular alternative news website), researcher, investigative journalist, radio talk show host, activist, and filmmaker. We now suspect that the stunning pictures of a man being fitted with prosthetics were filmed during the first blast – which was a mere smoke bomb. These images were then put on the internet by Counter Intelligence Professionals in order to create conflicting stories and turn us against one another. Our very deepest condolences to the real Jeff Bauman and his family and friends – along with the other victims. I just had a conversation with a good friend of a friend from Chelmsford, mass. It is too early to “know”, but i believe him and it makes sense that they would play it like this. What is happening here is that the Alternative Research Movement along with the general population are both being framed and fed information…..in order to DIVIDE AND CONQUER. We are continuing to research and will soon publish an addendum to this video. Are you going to believe what you can see with your own eyes — or are you going to believe what you are told? This documentary spans from the beginning to the “official end” of the Boston Marathon Bombings – covering the “official mainstream” news events as well as the “official alternative stream” news events. INCLUDING STUNNING PHOTOS which prove that the star of the show (the double amputee) was fitted with prosthetics moments after the blast. The ultimate weapons of war are microwave energy weapons — mind control. Produced by Captain Morgan and Guðjón Heiðar. Narrated by Wild Bill Cooper — special appearance by Nesta Robert Marley. May Bob and Bill rest in peace — remember remember the fifth of November. Only the truth can unite us indivisibly. Knowing thyself implies knowing the enemy. It also implies knowing the weapons they use on the battlefield. This inspiring and hard hitting documentary challenges us all to stand united upon a mountain of facts – rather than being divided in our opinions, happy slaves lightly chained to our seats in the platonic theater of ScareCity. Music written by Woody Guthrie then reproduced by Bob Dylan and Bruce Springsteen. Links to purchase 3rd party content — music and films. This video is presented under the fair use provision for educational purposes only and does not infringe on any copyrights. The stories about this event are changing rapidly – there is a lot of disinfo and schools of red herrings. We´ve done our best to discern and present the truth. If you notify us of errors that we can confirm – we will correct them here. 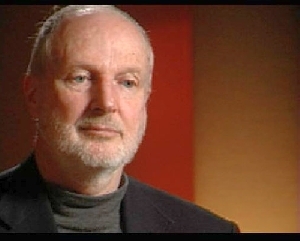 VIDEO — Who Is Graham Fuller? As investigative reporter Daniel Hopsicker has demonstrated, the address for the Congress of Chechen International Organizations just happened to be the home address of Graham E. Fuller, formerly Vice Chairman of the Reagan-era CIA’s National Intelligence Council. The relationship between Ruslan and this former top CIA official was not a loose one. Tsarni married Fuller’s daughter in the mid-1990s and lived in Fuller’s home for some time, basing his terror-supporting operation under Fuller’s own roof. “CONFIRMED: Katherine Russell (alleged bomber’s wife) is granddaughter of Richard Warren Russell, Skull and Bones member and entrepreneur in the energy industry. PHOTO: Like his Uncle Ruslan, Tamerlan Tsarnaev had wife with high level connections to US intelligence. Russell’s obituary lists Warren King Russell II as son – and that’s Katherine’s emergency room doctor father. 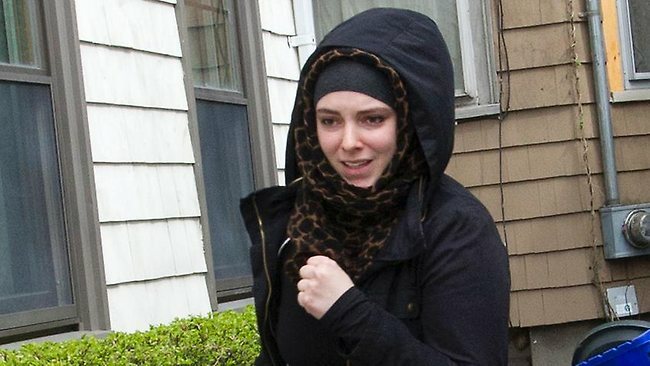 That means wife had family spook connections as well as husband Tamerlan (Uncle Rusla). And both had fast, dramatic and uncharacteristic conversions to a perverted form of Islam favored by the gangster family that runs Saudi Arabia and works hand in hand with our spooks. The CIA is well-known to be a family agency that includes “legacies” in extremely key, or sensitive positions. Katherine’s character in the Tsarnaev story should be looked at more closely, even if, for reasons still yet unknown, she is being completely ignored, and totally unchallenged by the mainstream media before today. Was she simply his doting wife, or the driving force behind his alleged jihadism – or was she merely keeping a close eye on him? When she is called on to do the talk show circuit, or when her book deal goes live – America will be listening very closely to her story for sure. Aside from the already documented evidence of the FBI interfacing with the elder Tamerlan Tsarnaev over a 5 year span, we have also placed him at a CIA front NGO conference in Russia, as well as highlighted how incredibly well-connected his now famous Uncle Ruslan Tsarni (his name was changed from Tsarnaev to ‘Tsarni” at some point in the past) is with his ties to some major geopolitical strategic oil ventures in Kazakstan and Central Asia, as well as organised crime figures in the former Soviet countries and the historical CIA-trojan horse organisation known as USAID. Incredibly, just last September 2012, the Kremlin requested the U.S. close its USAID office in Moscow, with Putin claiming that the NGO was being used to create various opposition group in Russia and being used by Washington to try and unseat him from power. Much has been made of the Tsarnaevs’ loose “Chechen ethnic roots”, a long favoured jihadist hot button for Washington DC and Saudi Arabia in their bid to antagonise Russia. We now know that the ACPC was later sanitised from “Chechnya”, and rebranded to “Caucasus”, now called the “American Committee for Peace in the Caucasus”, the same organisation which held an event attended by none other than Tamerlan Tsarnaev in the summer of 2012 – an event that was organised by the Jamestown Foundation – another known CIA front, which is part of a vast network “controlled by Freedom House (George Soros) and linked to the CIA” according to Voltaire Network. Hence, any change in US-Russia policies which may result from the Boston event should be view in the context of what we’ve outlined above. The discovery that Uncle Ruslan Tsarni had spy connections that go far deeper than had been previously known is ironic, especially since the mainstream media’s focus yesterday was on a feverish search to find who might have recruited the Tsarnaev brothers. (…) At the time of their marriage, Ruslan Tsarni was known as Ruslan Tsarnaev, the same last name as his nephews Tamerlan and Dzhokhar Tsarnaev, the alleged bombers. The media have been instructed not ask any questions regarding the material above – which at the very least connects the Tsarnaev family to the CIA and the crucial geopolitical struggle for energy and power in Eurasia. Do not expect the major media outlets to look below the surface of the Boston Bombings. Do not expect them to demand any answers other than those which make up the FBI’s official story. If the official story reads like a a fiction novel, that’s probably because it is. FBI whistleblower and BoilingFrogsPost.com editor Sibel Edmonds joins us to discuss the recent Boston bombing hysteria and the potential geopolitical implications of the American public’s “discovery” of Chechen terror. We discuss Sibel’s work exposing the US/NATO roots of so-called Chechen terrorism, and what the FSB’s involvement in this twisted tale might mean in terms of future Russian-US relations.